What abilities do the zombies have against armor? I bet they can infect regular infantry via melee combat. Yeah!I love shoot these Z's! Ahh, another happy patient of Dr Thrax! 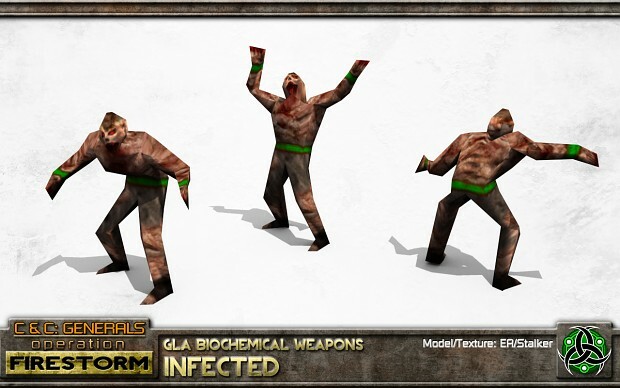 Are these zombies will be like contaminators from battle for dune, that any infantry killed in close combat, will be reborn as a zombie ? Instead, these units are created by transforming your Volunteers for a small cost. Alternatively, a rank 5 General's Power allows you to transform enemy infantry and even vehicle crew into Zombies which follow your command.